Driving during the winter is a very different experience when compared to driving in the summer. While most drivers may not consider the changes, there are a number of factors that alter the driving experience when temperatures begin to drop. While some are minor, it’s also important to take note of what is changing in an effort to keep yourself, and other drivers on the road safe. 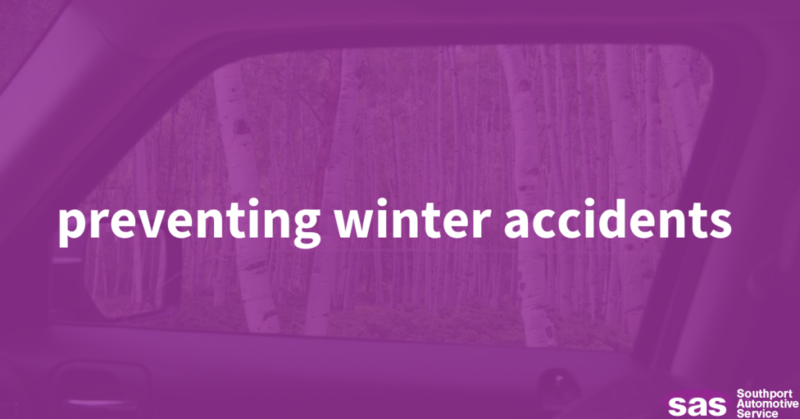 Below are a few tips that can help you stay safe on the road this winter, and avoid accidents. It’s important to know that temperature affects the performance of your tires greatly, even though it may not seem like it. When the air becomes colder, it takes up less space, which in turn, can lead to less pressure inside your tires. This can lead to less traction, adverse steering, and more. Additionally, it’s important to make sure you’re not only using the right kind of tire, but that it has sufficient tread to get you through periods of inclement weather. Ice, snow, and cracked roads all contribute to a different driving experience, and this proves to be taxing on your car. It’s important to make sure that you’re inspecting your suspension components for potentially blown shocks or struts, as well as readjusting your alignment. These changes will make sure that your vehicle is able to absorb the impact of the road, and continue to drive in the straight line it was designed to be driven. Your fluids are huge when it comes to the winter seasons. It’s imperative that you make sure your engine oil is fresh and the right viscosity for the temperature, you have adequate antifreeze, and there is enough wiper fluid to keep the windshield clean. Checking your brake fluid and pressure is also another safety check that proves to be important for all cars on the road. It’s hard working on your own car when temperatures begin to drop. If this is an issue you face, make sure that when you bring your car in for its inspection, especially in the CT area, it’s properly assessed and repaired when needed.